Airbus management committee member and head of procurement, Klaus Richter said “India is providing us very competitive offers. Our procurement is no longer because of offset obligations; it’s the free market at work,”. Several components for the A320 and A380 are manufactured at the Belgaum (Hattargi SEZ) facility. 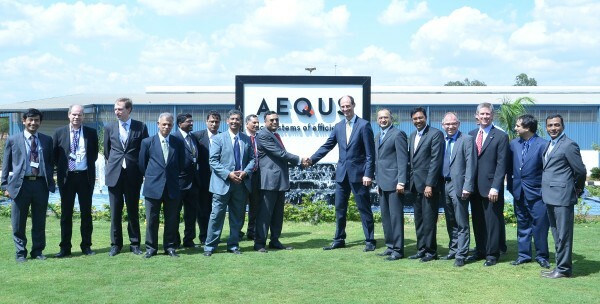 Richter was in Belgaum on Wednesday for a function to mark the rebranding of Quest Global SEZ as Aequs, a 250-acre facility focused on aerospace component manufacturing and assembly. Aequs, which has seen an investment of Rs 250 crore, is expanding rapidly. It has a machining facility, it has a surface treatment facility in a joint venture with Magellan Aerospace of Canada, it has a forging facility in a joint venture with two French companies, Albert & Duval and Setforge, and it has a joint venture with Saab Aerostructures for the manufacture and supply of aerostructure assemblies. Some 1,200 different parts are made in the SEZ. Other than the SEZ there are other individual companies in Belgaum as well who are contributing to the aerospace industry enormously such as Servocontrols. Heartly thank you to all our Belgaum..and also to our Aequs. Bravo to BELGAUM citizens & thanks to Aequs for trusting us & providing the ray of bright future to the youth.